The Vickers Viscount was yet another British ‘first’. It was the first, and only, turbo-prop aircraft in service for some years after its first flight in July 1948 – only three years after the end of WWII! 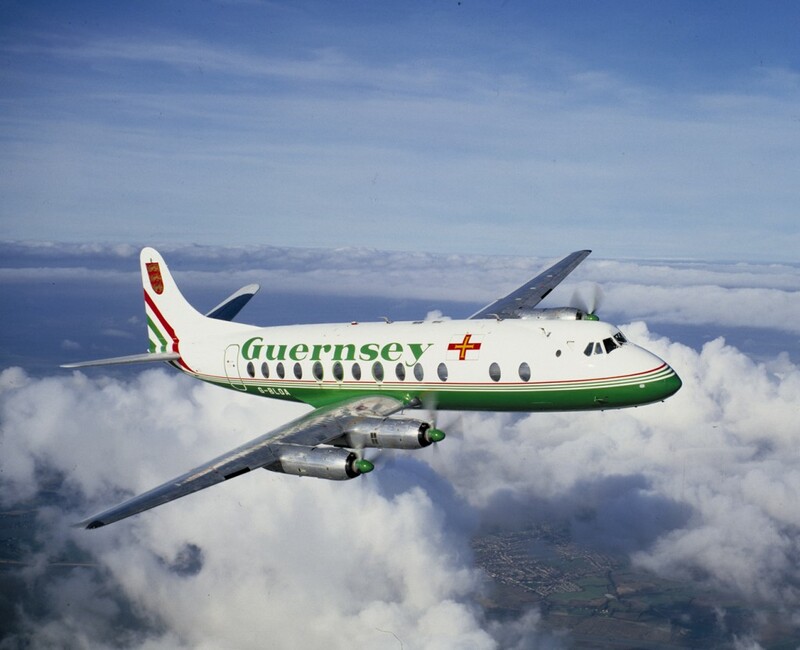 I was invited by British Air Ferries to take some shots of this aircraft which was painted in the colours of its subsidiary, “Guernsey Airlines’. A day was earmarked for the shoot but had to be cancelled as the aircraft was required for a flight schedule. This was just as well as the weather that day turned out to be very wet; the flight was re-scheduled for the next day and what glorious weather it was.